IN A MONK IN THE WORLD WE ARE LEARNING THE TEACHINGS AND PRINCIPLES OF CHRISTIAN MONASTICISM AND HOW WE CAN APPLY THEM TO OUR LIVES OUTSIDE THE MONASTERY WALLS. TODAY WE'RE FOCUSING ON the vow of Obedience. Closely linked to Step 2 of Humility is the discipline of obedience. 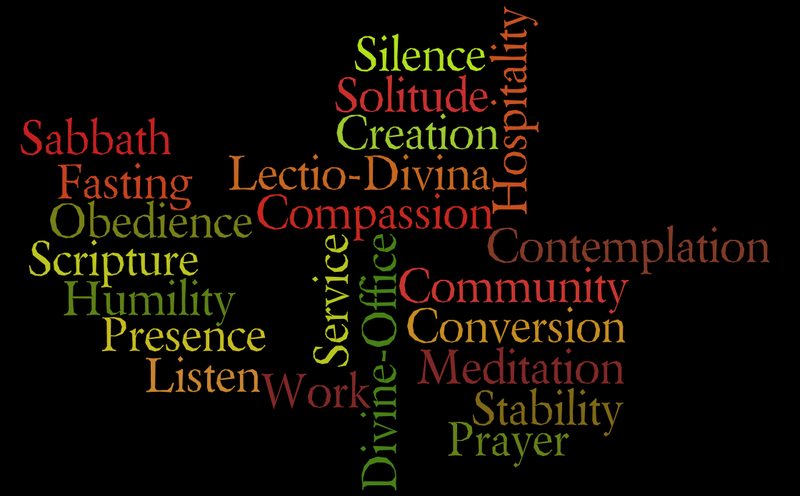 In the Benedictine monastic community the members profess three vows: obedience, stability and a life of on-going conversion. Implicit in these are the evangelical vows of chastity and poverty. Obedience… is not one of our favorite words. Most of us like to think we don't have to follow all the rules. Some would even say rules are made to be broken. But the truth is most rules are made to protect us from something. The root word of obedience is a Latin word for listen. When we want someone to obey us we are really asking them to listen to us. Thinking in this way obedience doesn't seem so harsh. Isn't this all God is asking of us? That we listen to Him? After all, He has our best interest in mind when He asks us to do something. In the book of Romans the Apostle Paul says obedience comes from faith, (1:5) faith comes from hearing God's Word (10:17) and that we are mutually encouraged by each other's faith (1:12). Which leads us to our next point. In the spirit of Benedictine obedience, I should practice "mutual obedience" obeying not only those in authority over me but also my fellow brothers and sisters. This fosters harmony in our communities and households. When we see others as the voice of God we will be better listeners. Our response to obedience must be joyful and spontaneous. More than the action itself, what matters is the attitude of our heart. When we respond without grumbling, replacing competitiveness with consideration we can live a life of obedience as Saint Benedict teaches in his Rule. If you can't see the screen below CLICK HERE for a beautiful worship song by Chris Tomlin.